Quiet, Please! is an old-time radio fantasy and horror program created by Wyllis Cooper, also known for creating Lights Out. Ernest Chappell was the show's announcer and lead actor. 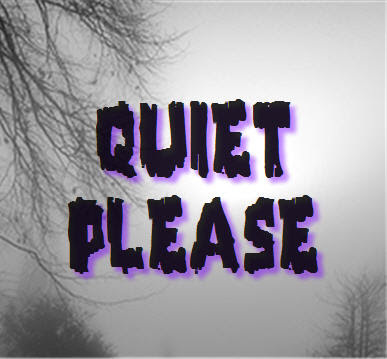 Quiet, Please! was first broadcast by on June 8, 1947 by the Mutual Broadcasting System, and its last episode ran on June 25, 1949, by ABC. A total of 106 shows were broadcast, with only a very few of them repeats. Earning relatively little notice during its initial run, Quiet, Please! has since been praised as one of the finest efforts of the golden age of American radio drama. The shows range from deeply personal human interest shows to some of the most original horror and science fiction stories ever written. A truly wonderful series. 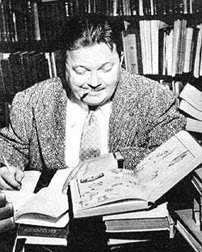 Cooper was one of the best, if not THE best horror writer in the 1930s and 40s. He started out with The Witching Hour, then Lights Out, and, of course, his masterpiece, Quiet Please. I came across a cassette collection of these wonderful gems. I'm glad that other people have seemed to like this series as much as I did.